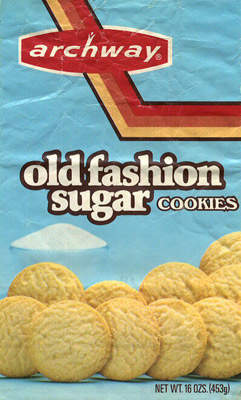 Ellison's Archway brand of Sugar cookies. 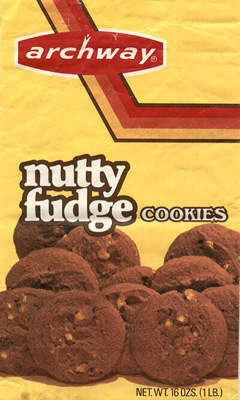 Ellison's Archway brand of Nutty Fudge cookies. A selection of Archway products. 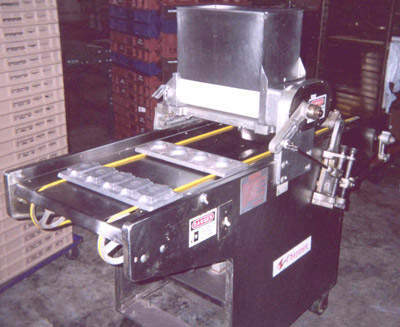 World type wire cutting cookie machine used to form the dough into accurate shapes prior to baking. In July 2006 Ellison Bakery Inc, a well known manufacturer of cookies and cookie-based products in Fort Wayne Indiana, broke ground on a $4m expansion project. 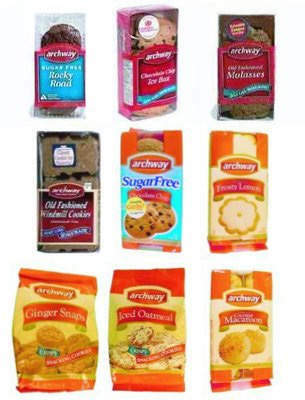 One of the company’s well-known brands is Archway Cookies. The expansion boosted production capacity and also created 21 new jobs. In January 2006, the company announced preliminary plans for the proposed project. The details regarding the timing and scope of the project, however, were finalised in May 2006. The expansion work was started in July 2006 and continued for two years until 2008.
which allowed the company to move their current and new packaging lines into the previous warehouse space. This added capacity to current production lines and allowed the addition of a third oven baking production line. The plant has the latest baking and processing equipment. It operates at a capacity of about 2.8 million cookies per day. The state of Indiana, through the Indiana IEDC, and the city of Fort Wayne, through the Fort Wayne-Allen County Economic Development Alliance, worked together to provide a performance-based incentive package for Ellison Bakery. The economic development incentives offered by the IEDC included up to $16,500 in training grants for Indiana resident employees and approximately $56,000 in tax credits on anticipated capital investments. The Fort Wayne Common Council also approved tax abatement in February 2006 for qualified real and personal property investments associated with the expansion project. The company is constructing a 35,000ft² warehouse expansion, which made room for a new third production line within the existing 72,000ft² facility. The $3.9m project included approximately $2.6m for the warehouse expansion and approximately $1.3m in new equipment, including hardware and software as part of a new logistics system. 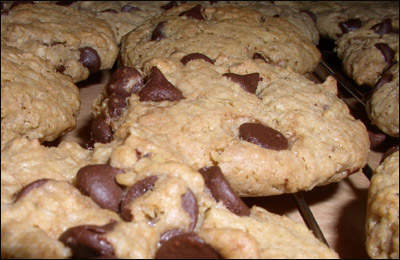 The expansion increased the company’s product line with 12 new cookie recipes. The upgrades also enabled the company to meet more stringent food standards for contract manufacturing. The total size of the plant is 120,000ft². In April 2009, the company announced its plans to further invest $1.25m towards addition of a new production line to the plant. The expansion will add another 15 jobs to the existing workforce of 75. Irmscher Construction was awarded the contract as the general contractor for the project. ReVision are undertaking the project management serving as the owner’s representative and coordinating project details. ensure consistency from batch to batch. All product formulas are stored in a computer database that allows them to be scheduled and scaled according to the customers’ orders. In this step the dough is formed by another computer into cookie shapes, using the SM World Wire Cut Machine from APV Baker. The wire cut machine is designed to push a precise thickness of dough through a row of holes that gives each cookie its shape. computerised shaping machines can create thousands of highly consistent cookies every hour. require a cooler initial bake with an increase in temperature as the cookies travel the length of the oven. Another type might require a higher initial temperature and sustained heating through the rest of the bake. these cards for consistency of colour, flavour, piece size and weight. All products are lot coded for tracking purposes and QA checks are recorded for each lot. Certificates of analysis are then supplied to each customer based on the lot numbers received with each order. These certificates of analysis are faxed to the customer prior to the arrival of their order.